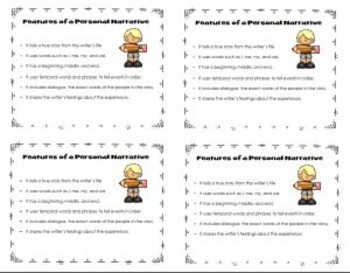 OK….So, you’ve got Wonders and you see that there is a Genre Writing piece in the back of each unit, but you’re asking yourself, “How do I get started?” This packet is for you! 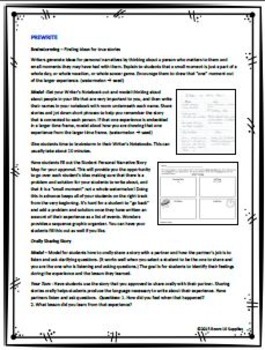 After implementing this unit in 3rd grade classrooms, I have included everything you will need to successfully teach this unit including teacher lesson plans, student handouts, anchor charts, and labels for Writer’s Notebooks. A PLETHORA OF RESOURCES! 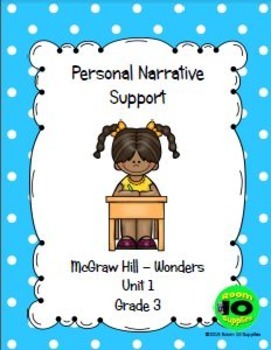 This packet supports the personal narrative activity in McGraw Hill – Wonders Unit 1 Genre Writing for Grade 3. 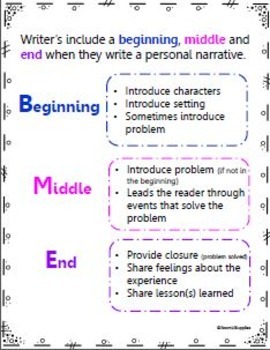 Each section within the personal narrative is addressed: Expert Model, Prewrite, Draft, Revise, Proofread/Edit and Publish. This packet is divided into 3 sections: 1.Teacher Notes, 2.Student Handouts and Labels for Writer’s Notebooks, and 3. Instructional Support documents.